Attorney, Josh Tomsheck, Esq., has received specialized training in in the defense of DUI charges as it relates to Blood and Breath Testing. Mr. Tomsheck has studied with foremost forensic scientists and DUI and drug recognition experts from across the country and around the world, in order to find and fight forensic testing issues in your case. 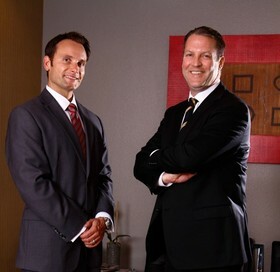 Attorney Tomsheck is a member of the National College for DUI Defense, one of only nine (9) members in all of Las Vegas to be a member of this organization. The National College for DUI Defense is a professional, non-profit corporation which is dedicated to the improvement of the DUI defense bar, and to the dissemination of information to the public about DUI Defense Law as a specialty area of law practice. The college is widely recognized as the top organization in the United States dedicated to the training of DUI attorneys.